M&T Club Board is a group of fifteen M&T students who represent our dual degree program and plan events for both the current M&T community and our large alumni network. The Board is organized into three committees: Social, Professional, and Corporate. The two of us (Neha, President and Jeff, Vice President) ensure that the direction of the Club is in line with the overall direction of M&T by coordinating plans regularly with January (Administrative Director of M&T), Jaime (Associate Director), and Casey (Administrative Coordinator). The Social Committee’s goal is to keep the M&T community close and organize regular events that bring together students from all four years. Headed by Elise M., Social organizes a lineage program, regular study breaks, and group dinners in Philadelphia. A new program this year that Social is offering is a casual “expert instruction” series whereby any M&T student with a cool skill can teach it to others for a few hours in the M&T Office. Current sessions include Paper Airplanes, Microsoft Excel, and iOS Development. The Professional Committee’s goal is to connect alumni to current students and to provide current students with resources for their careers. Professional hosts regular BBLs (brown bag lunches) in which alumni return to campus and connect with a small group of current students over lunch. Professional also hosts resume-building workshops, interview preparation workshops, and connects upperclassmen mentors with freshmen and sophomores who want career advice and guidance. The Corporate Committee’s goal is to bring company recruiters to campus for events with M&T students. Corporate maintains close relationships with JP Morgan, Blackstone, SIG, Morgan Stanley, Microsoft, Credit Suisse, AQR, and other major companies on both coasts. Corporate events include both traditional info sessions and interactive workshops, all exclusive to M&T students. Some of the students’ favorite events are the annual SIG Poker Tournament, for which SIG sends a dozen traders to be dealers and gives away prizes like iPads and Kindles, and the Morgan Stanley IPO Simulation, for which they send a team from their Menlo Park office to simulate the 2004 Google IPO. 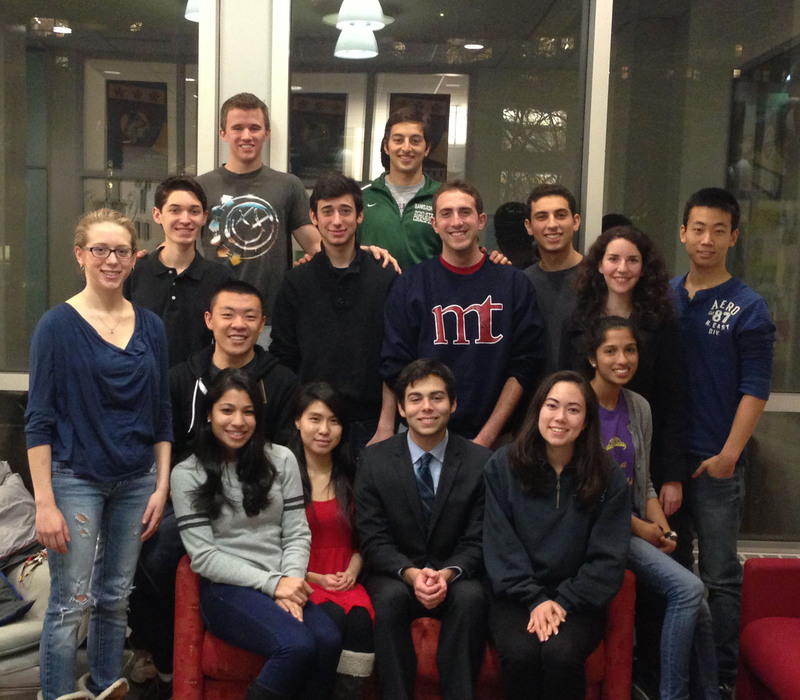 Many M&T Club events are collaborative efforts by all programs. Each semester, the club puts together a Trading Simulation for freshmen to learn how trading works in a fun competitive environment. We also host an Entrepreneurship Panel each semester in which M&T students who have started their own companies (both current and graduated students) talk about their successes and failures. The biggest group effort every year is M&T Day’s preview weekend, during which newly admitted M&T students come to campus to see the best that we have to offer for a couple of days. The two of us enjoy being leaders of the Club since we get to interact with lots of current students and alumni as well as Jaime, January, and Casey in organizing fun events that benefit our entire community. Neha is a current M&T junior in the Class of 2014. She studies Systems Engineering within Penn Engineering and Finance in the Wharton School. In addition to M&T Club, Neha is involved with MUSE Consulting and is Treasurer of Penn’s INCOSE, which is a Systems Engineering group. Jeff is a current M&T sophomore in the Class of 2015. He studies Computer Science within Penn Engineering and has yet to declare his concentration in the Wharton School. In addition to M&T Club, Jeff is a member of Phi Gamma Delta at Penn.